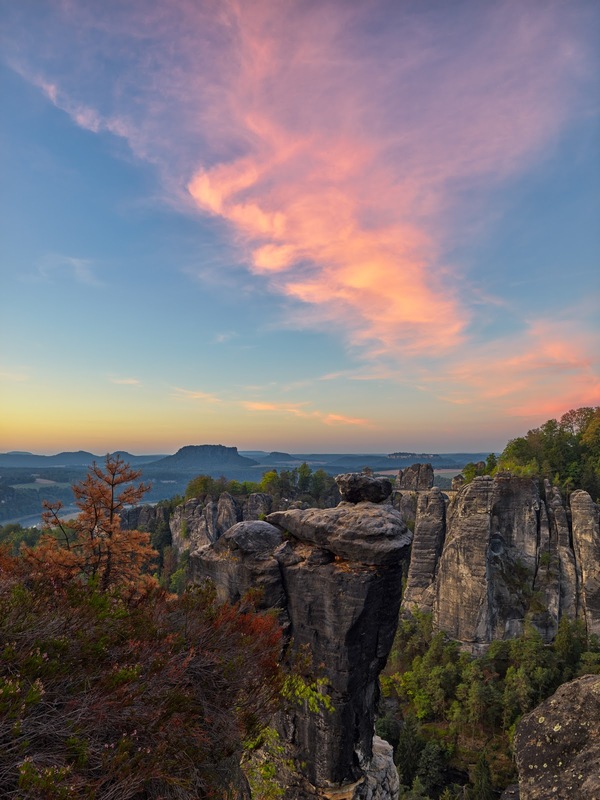 Pink Clouds Over The Wehlnadel - Alpa STC, IQ3 100, 32mm, f/11, 0.4s, ISO 100. The pink colored clouds only lasted for a brief moment the morning this was made. In addition to the imposing form of the Wehlnadel (the sandstone rock in the foreground), visible are the Bastei bridge and the tabletop mountain of Lilienstein in the distance.